Ants are similar to termites in that they have a complex organisation of their social system. They live in colonies with a Queen, a King, workers, soldiers and reproductives. However, ants are not related to termites at all as they belong to the Family Formicidae, within the order Hymenoptera. This group includes bees and wasps, while termites belong to the more primitive order Isoptera. Attention to hygiene and sanitation will reduce the likelihood of scavenging worker ants. 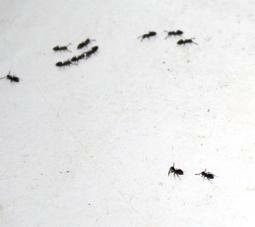 Always wipe down all surfaces to remove the chemical trail ants leave to trace back to their nests. Putting food away at night in sealed containers, sealing cracks and crevices, and disposing of rubbish are all do it your self ant controls. Always wash up after using the kitchen. 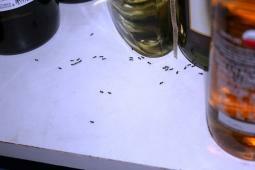 Wipe down spreads such as honey in your kitchen cupboard to avoid attracting sugar ants. Rinse your items for recycling. It is a good idea to get a professional spray every spring as a preventative ant treatment. Ant Problem? Control of ants is best achieved when the nests can be located. Austrapest technicians will use their knowledge of the nesting habits and feeding habits of ant species. Careful inspection is carried out before applying treatment to cracks and crevices in and around the house. 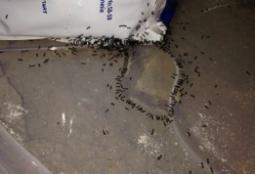 When ants are out of control, chemical treatments such as bait, liquid and dust applications are the only line of defence, and a do it yourself method generally won't be sufficient.